More Organic. More Flavors. More Options. As the clock nears 5pm on a typical workday, you might think about what you’re going to cook if you have any mental energy left before the end of the day. You might plan out the steps you need to take just to get to the stage of cooking: finding a recipe, checking your fridge to see if you have the ingredients, going to the store to buy any missing ingredients, avoiding that chatty Cathy you might run into in the grocery store line, sitting in traffic on the way home from the store, unloading the groceries, washing and prepping the veggies, and then starting the cooking. Aren't you exhausted just thinking about it? What if you could take all those daunting steps out of the equation and just get to cooking as soon as you get home from work? This is where Green Chef comes in. Luckily for anyone with a busy schedule, meal delivery plans have blossomed as a beautiful solution to a time-packed evening. Each meal delivery service has its own quirky personality that shines through and stands out, and Green Chef is no exception. What does Green Chef bring to the table? A strong belief in organic, non-GMO ingredients that make up healthy, delicious recipes you and your family can trust. Green Chef recipes are designed for the home chef who wants to cook delicious meals with quality ingredients but doesn’t have time to look up a recipe, run to the store, prep veggies, and cook a meal. Green Chef takes care of all of that for you. With your subscription, all you’re responsible for is cooking and washing dishes, which should be a breeze since there won’t be any food left on the plates. Healthy eating has never been so easy. Customers rave about the freshness of the ingredients and proteins - it's as fresh as going to the grocery store without the hassle of leaving your house. With new recipes dropping every week, ingredients aren't the only fresh things you get when you sign up with Green Chef. 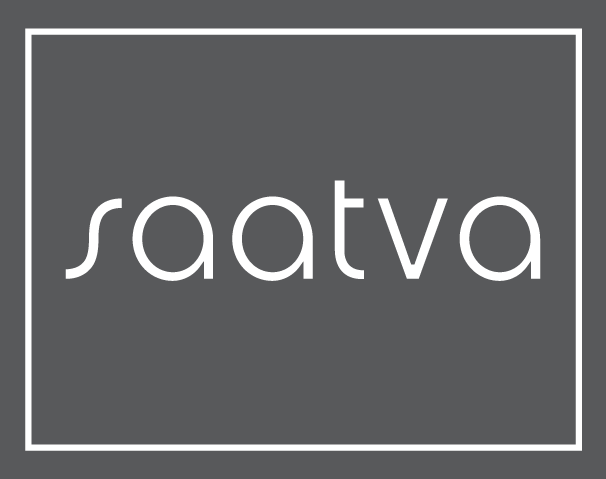 Their emphasis on quality and organic ingredients is the foundation for their delicious meals. All that is required of you is cooking, which usually takes about 30 minutes. Green Chef portions, measures, and preps the ingredients beforehand so they are ready for you to create your masterpiece. They use thoughtful and sustainable shipping containers that are eco-friendly so you can feel good about each and every shipment. Green Chef also supports a variety of specialized diets like Paleo, gluten-free, vegan or vegetarian. Sustainability is reflected in everything that Green Chef does. From their USDA Organic ingredients to their limited packaging, Green Chef sticks to their eco-friendly principles. To avoid unnecessary packaging, Green Chef puts all their ingredients into the box without separating them into their respective recipes. You might find yourself asking: But how do I know which ingredient goes to which recipe? Don’t fear, blossoming chef: Each ingredient is color-coded to coordinate with one of the recipes that are included for that week. Green Chef has invested a lot of thought into their meal delivery packaging — after all, if their tasty recipes don’t arrive safely, then there’s no point to a meal delivery service. They insulate products with jute insulation lined with recyclable plastic. Jute (a mix of plant fibers and recycled cotton compacted into soft fabric-like sheets) can be reused as household items such as animal bedding and plant coverings. They’ve also ensured that any plastic film and cardboard included can be easily recyclable. To take their commitment to green life one step further, Green Chef has partnered up with TerraPass, an organization that helps companies reduce carbon emissions in every aspect of operations. This diet aimed on healthy weight loss is a great way to dive headfirst into your New Year’s resolution. Limit your sugar and carbs without sacrificing flavor. For anyone who has already started on the keto diet, these recipes offer a seamless transition into a meal delivery plan so you can hit your goals without worrying about tedious meal prep. Want to limit meat products but still want to keep fish in your diet? Green Chef has you in mind with this pescatarian diet. The cost of the pescatarian diet is on par with vegetarian and vegan options, so you’re not adding any extra cost to your plan. A pescatarian diet is a great way to step into the world of eating less animal product without completely changing your day-to-day menu. One of the trickier diets to navigate is gluten-free, so let Green Chef take the stress out of grocery lists and double-checking every ingredient. The gluten-free option includes all the goodness of meats and veggies, so you don’t miss a beat with meal prepping. 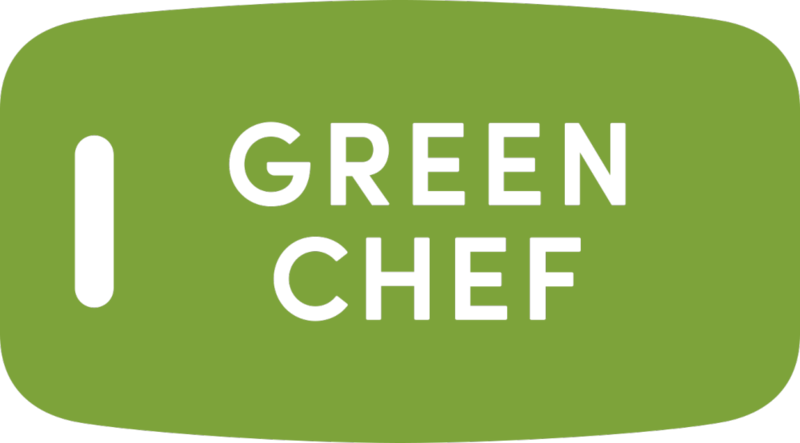 For anyone with a severe gluten allergy, Green Chef does include a food allergen notice emphasizing that while their food packaging and handling is above industry standards, they cannot completely guarantee that cross-contamination won’t occur. Unfortunately, this is a common theme with most meal delivery services, and we have yet to find a meal delivery service that is allergy-centric to their design. Use your discretion when choosing to use any meal delivery service. You can choose to go with a vegetarian or vegan diet plan at no extra cost. You’ll get protein-filled diets without meat to substantiate your meals. Since Green Chef curates each meal to be flavorful and at a restaurant's standard, this is a great approach to stepping into the world of vegetarianism or veganism. Staying on top of today’s best healthy diets, Green Chef accommodates Paleo diets with their high-quality meats and vegetables. This plan really emphasizes the qualities of Green Chef’s sustainably sourced products and highlights the goodness of the Paleo essentials. One of the biggest drawbacks that consumers might note off the bat is the higher cost of Green Chef compared to its competitors. So, we’re going to take a look at this price discrepancy first. Green Chef offers different pricing based on each meal, and since each recipe is curated by chefs, more intensive dietary restrictions will cost a little more. That said, keto and Paleo meals cost $1 more per meal to keep up with recipe demands that come with these specific diets. Remember that you’re getting high-quality and restaurant-grade ingredients with every meal. You wouldn’t expect USDA Prime Rib to cost the same as a fast-food burger, so you can apply that same logic to the ingredients used in Green Chef’s meals. No, they’re not at the most affordable end of the meal delivery spectrum. But you're paying for top-grade and sustainably sourced ingredients that are delivered to your doorstep and essential in making healthy meals for you. How much is that worth to you? Please note that this pricing does not include shipping and handling costs that are added to each box. Getting Grade A ingredients delivered to your doorstep is something magical, so how does that magic stand up to its competitors? 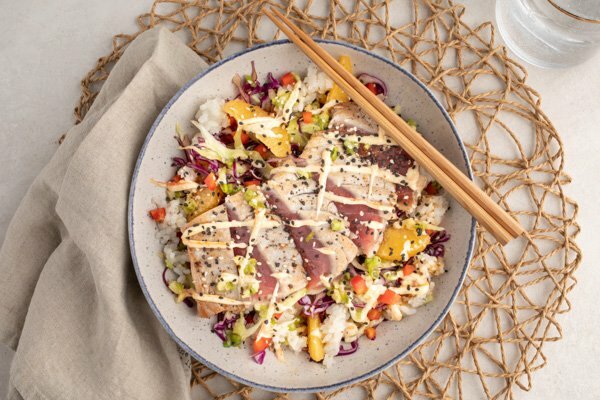 There are plenty of meal delivery services that are on the same playing field of Green Chef, so we broke down some key differences to help you make the best decision possible. These two heavyweights in the world of meal delivery services pack a lot of punch in their similarly designed boxes. One big difference that stands between them is the amount of options that each service offers. While HelloFresh only offers 3 plans, Vegetarian, Classic, and Family, Green Chef extends their options to include 7 plans along with family options. 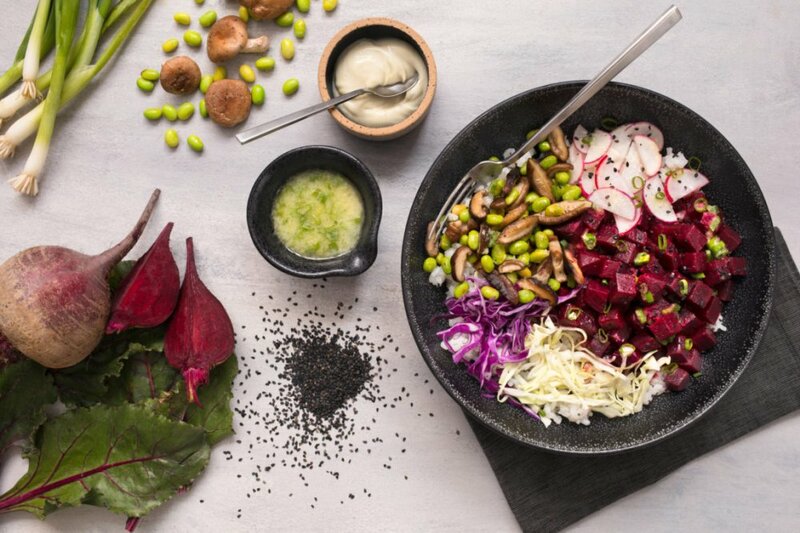 Another meal delivery service with a heavy focus on healthy cooking is Purple Carrot. 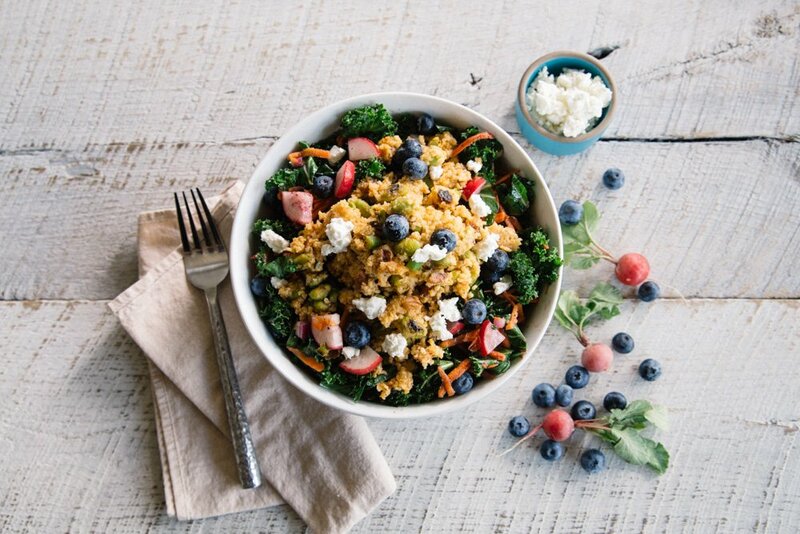 Both have similarly priced meals, but Purple Carrot specializes in vegan meals and plant-based proteins, whereas Green Chef gives meat-eaters and vegetable-eaters alike more variety in choices. Home Chef beats Green Chef in terms of pricing and also allows consumers to choose their recipes from a rotating menu consisting of 15 options. However, Green Chef is much more highly focused on healthy ingredients and fulfilling consumers’ dietary needs. You don’t have to cut out flavor when you’re searching for a healthy diet. In fact, Green Chef will infuse flavor into your diet and give your kitchen the pizzazz you’re proud to share. With no commitment or obligation, you can step into the world of healthy meals and new recipes with Green Chef. Try them out today!